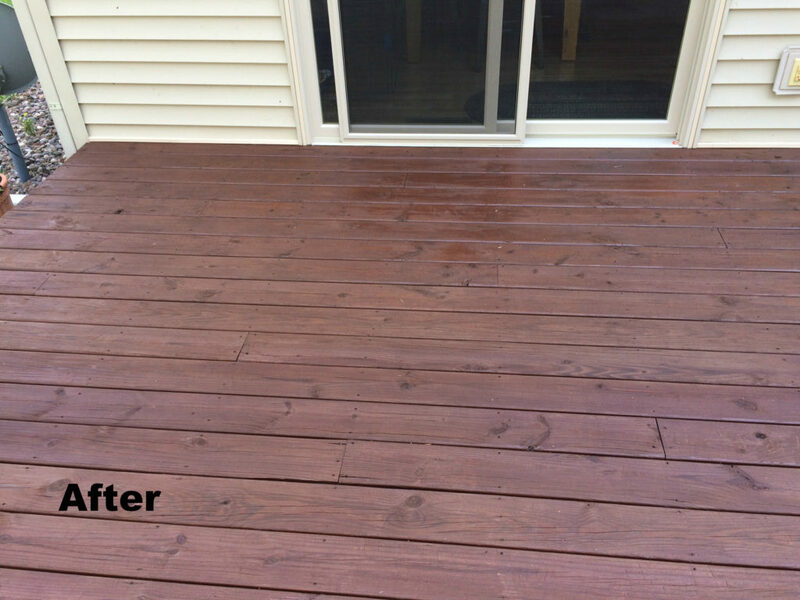 We are receiving great reviews from customers who have used the Flood Wood Care Stain to seal their decks. 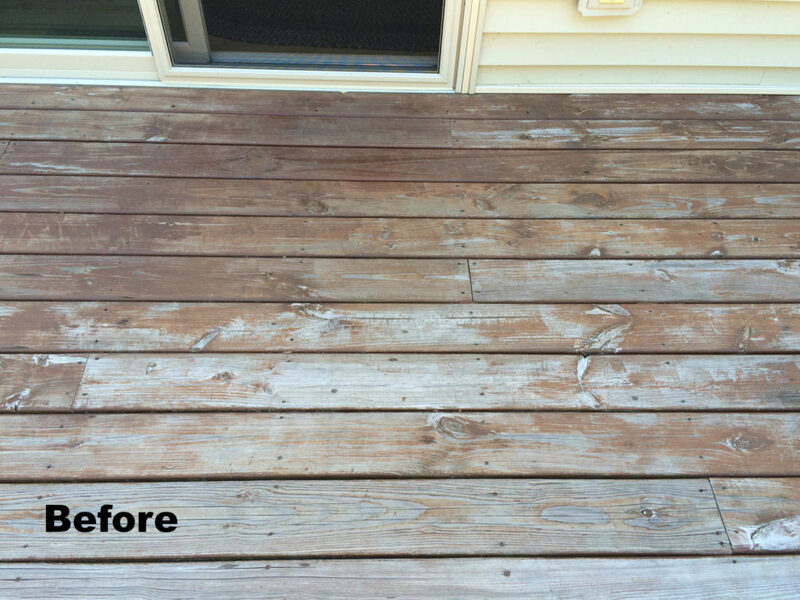 Here are before and after pictures of a deck that was stained with the Flood Wood Care Stain that we sell at Accent Paint Store. This deck was stained with Semi-Transparent Dark Mahogany Flood Stain. Due to the weathered nature of the deck, it required two coats. The customer loves the look of their deck! If you are ready to transform your deck, stop into Accent Paint Store and explore the different color options that are available to update the look of your deck! Accent Finishing was recently hired to paint the outside of an Eau Claire area home. We know your time is limited. Painting the outside of your home takes a lot of time. 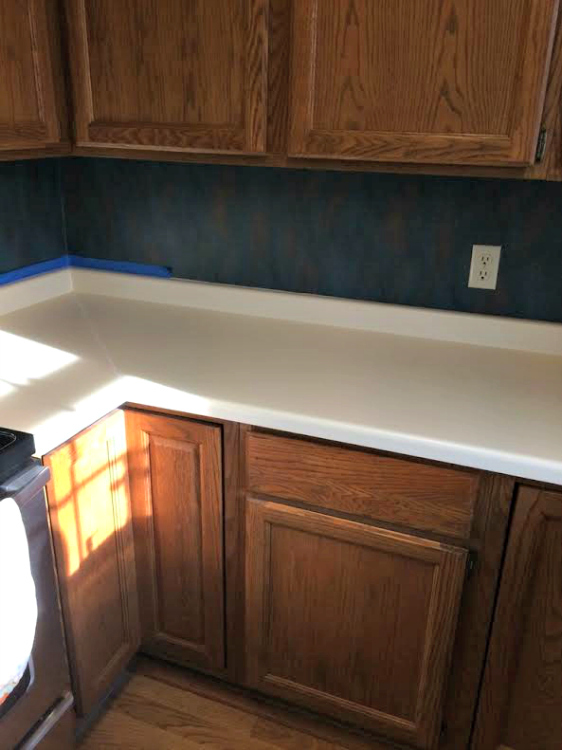 Let us save you time by painting for you! We have the expertise and the tools to paint your home quickly and professionally. Contact us and we will provide you with a free estimate. 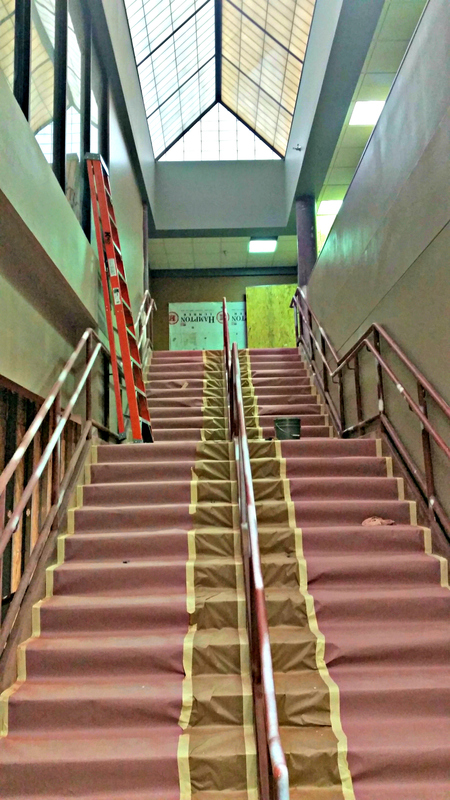 The old escalators were removed from the EastRidge Center in Eau Claire and Accent Finishing plastered the walls and painted the atrium walls, the risers, metal hand rail, and columns. Do you have doors that need refinishing? Accent Finishing can handle it! 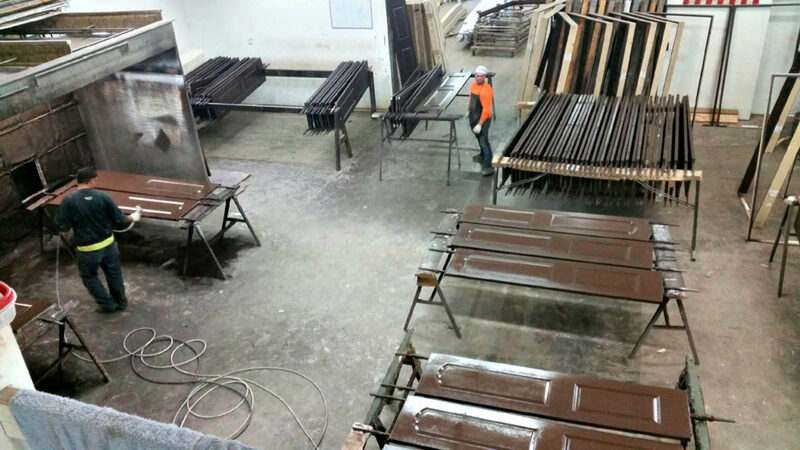 We recently refinished 130 doors for a local hotel. No job is too big or too small. 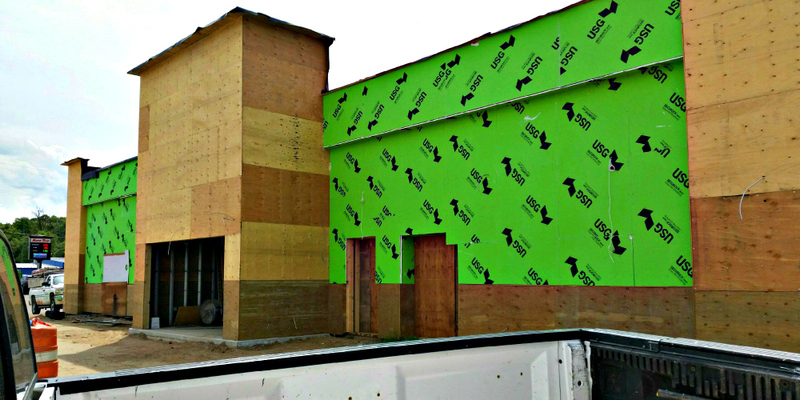 Accent Finishing is proud to be working with Durand Builders on the new two-story office building for Bernicke Wealth Management located in Altoona’s River Prairie Development off of Hwy 53. 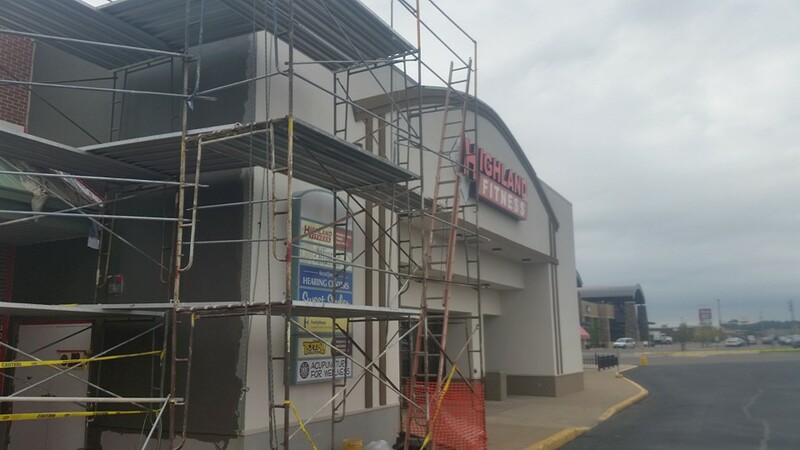 Accent Finishing is providing the exterior EIFS and commercial exterior painting on this project. Here are some photos of the completed project! It was a pleasure working with Durand Builders. Congratulations to Bernicke Wealth Management on your new beautiful location. One of the things Donuts, local radio celebrity with B95 Hot County, and his wife were not fond of with their new home was the light-colored countertops located in their kitchen. Every crumb, every scuff and smudge showed up. While at the 2016 Spring Home & Garden Show, they learned about Giani Granite paint for countertops from Accent Paint Paint Store. 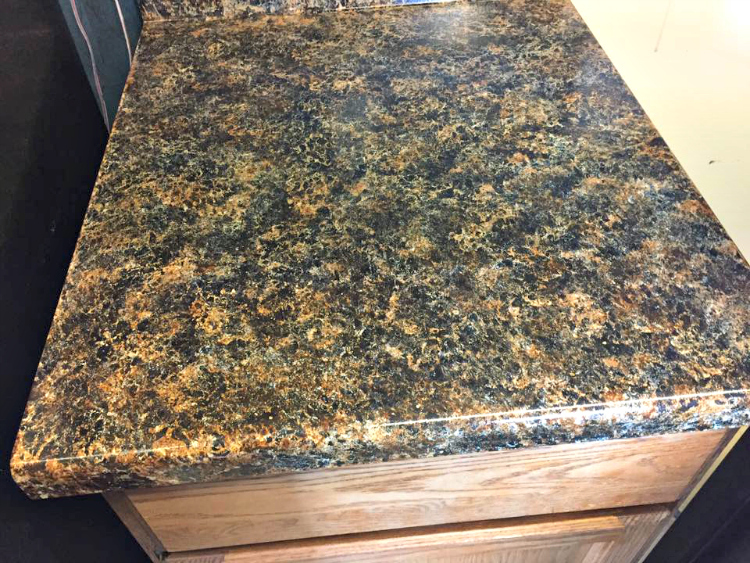 When they stopped into Accent, they learned that transforming their kitchen countertops to look like stone was easy and VERY affordable! 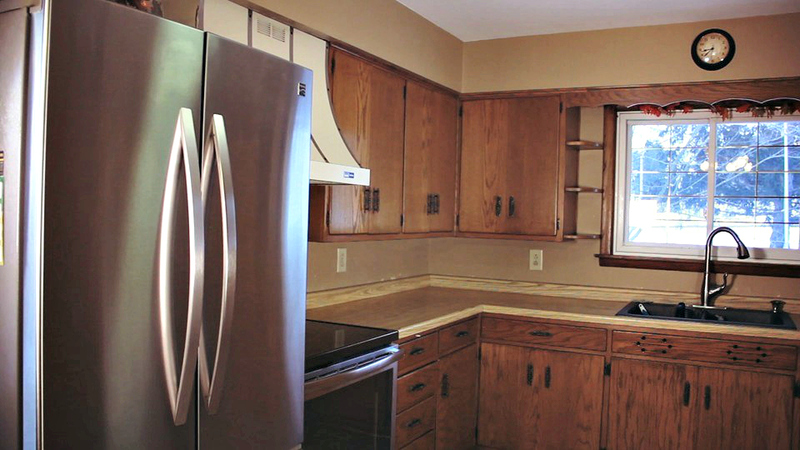 For under $100 Donuts was able to dramatically transform the look of his kitchen! Donuts chose the Chocolate Brown Kit – Giani Countertop Paint. 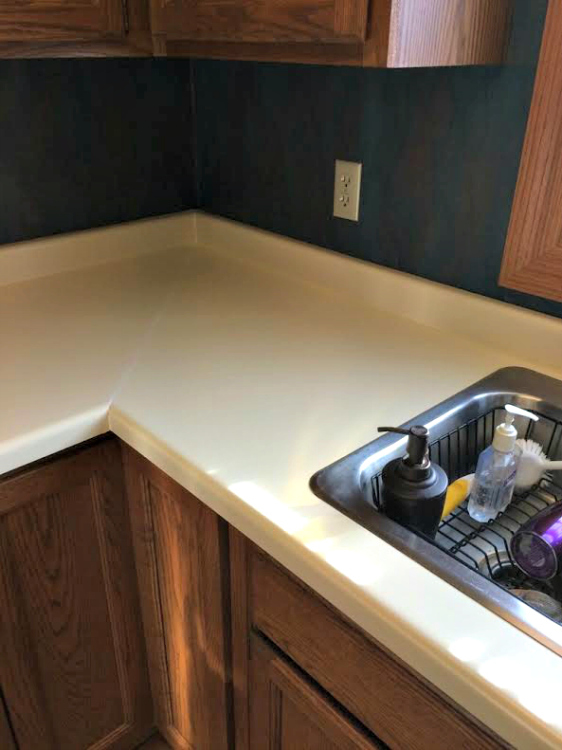 Below is a picture after applying a thin coat of Primer on the back-splash and countertop surface and sponging on the Minerals . Below are some after pictures! Look at the beautiful glossy finish! 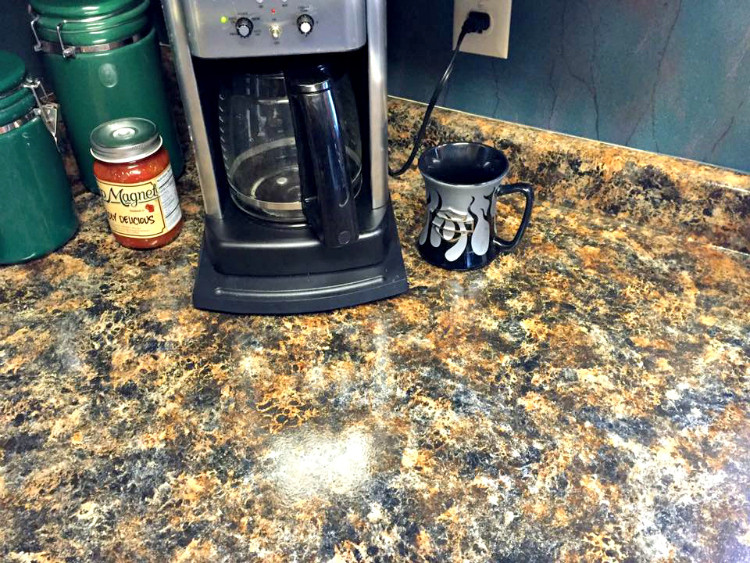 Donuts and his wife loved the new look of their countertops using Giani Granite! 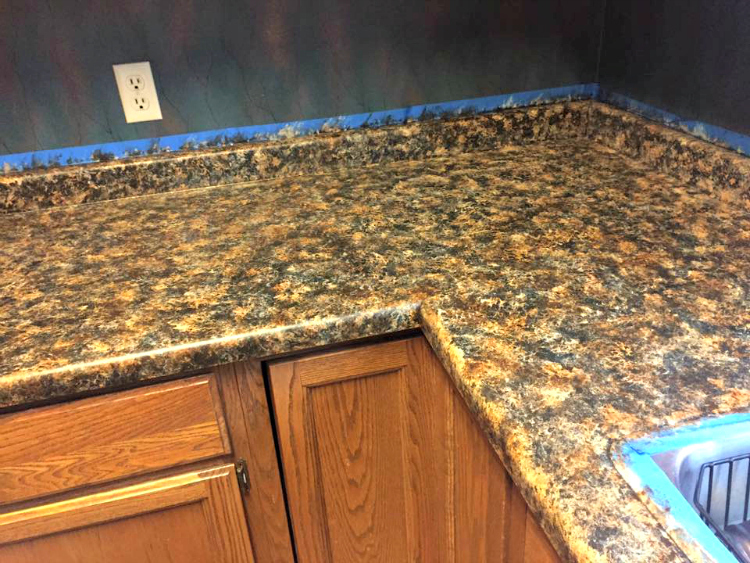 If you want to learn more about how to transform your existing countertops to the look of natural stone in just one weekend using Giani Granite, stop into Accent Paint Store today! 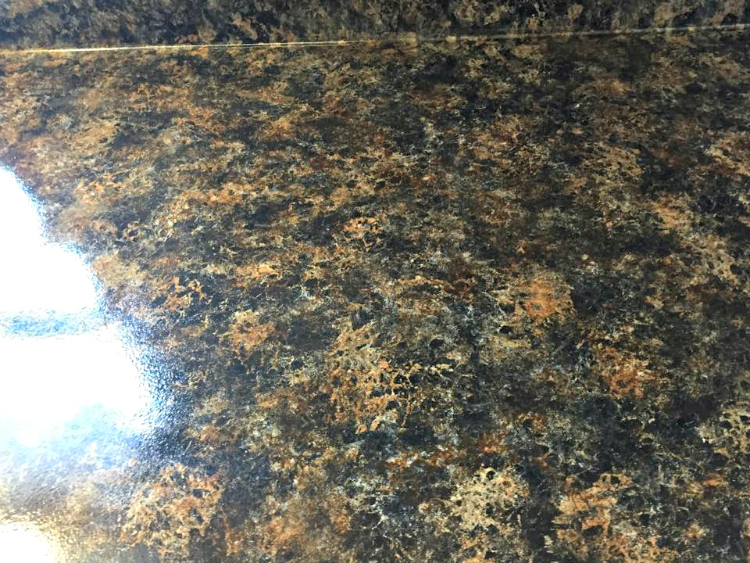 We can help you get the look of granite, without the expense! Accent Finishing recently completed this kitchen remodeling project. The above picture is the before photograph of the kitchen. 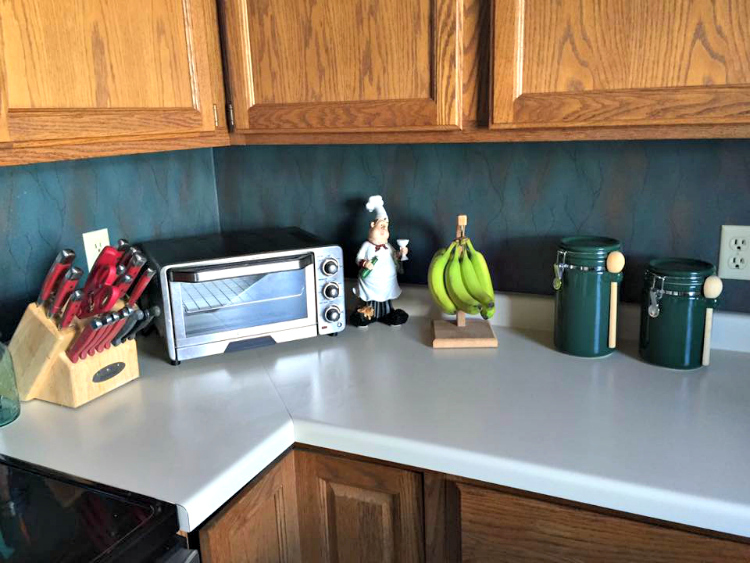 Notice the color of the range hood, cabinets, countertops, and walls. Accent Finishing went to the customer’s home, removed the cabinet doors and drawers and brought them to the shop to sand, bond and spray with two finish coats. The above picture is the “after” photo! At the customer’s home, Accent Finishing refinished the base cabinets, sprayed the ceilings and updated the wall color. 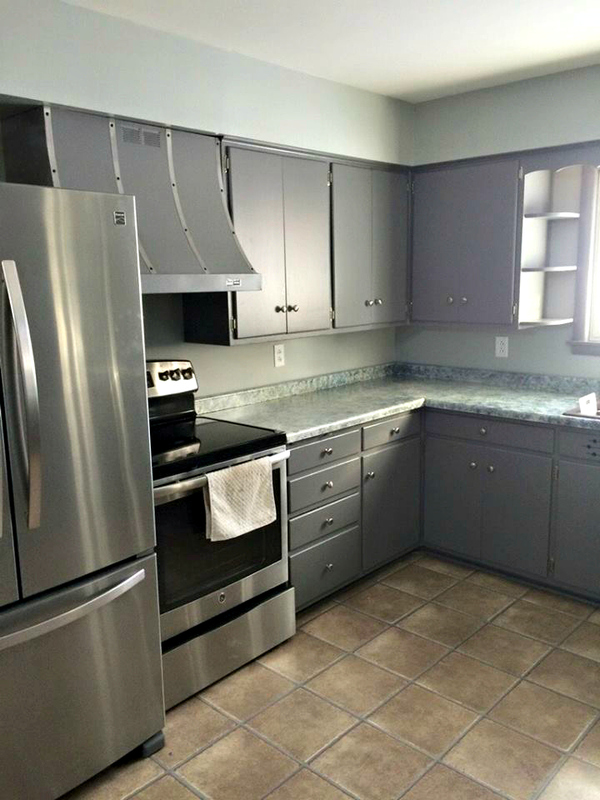 The new color of the cabinets, drawers, and range hood is Dover Gray. The walls were painted a Gray Stone color. We also painted the range hood a metallic color and painted the countertops with Giani Granite, White Diamond countertop paint. 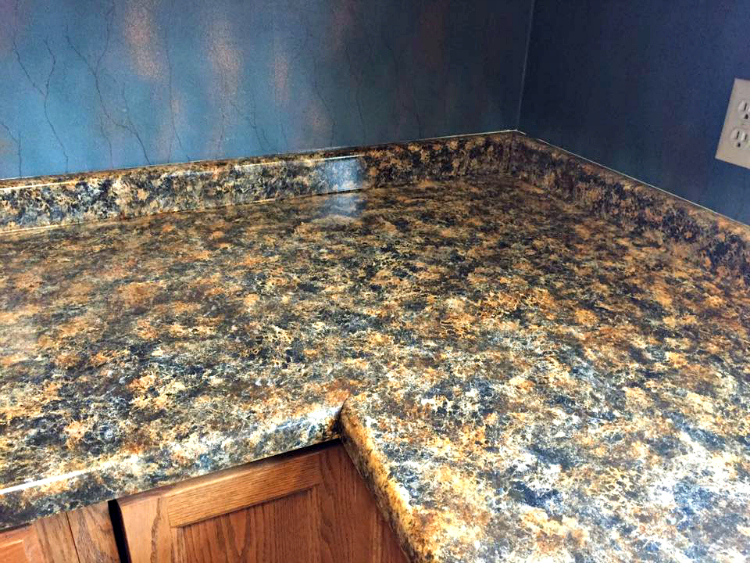 Giani Granite is a durable countertop paint that looks like granite. 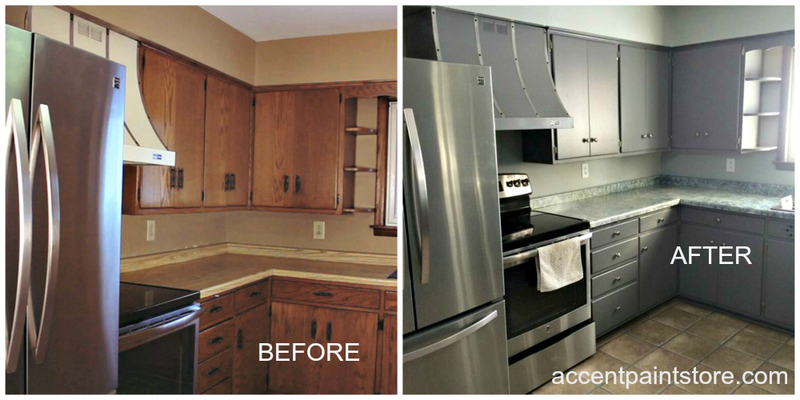 The project was completed at a fraction of the cost compared to replacing with new cabinets and countertops. 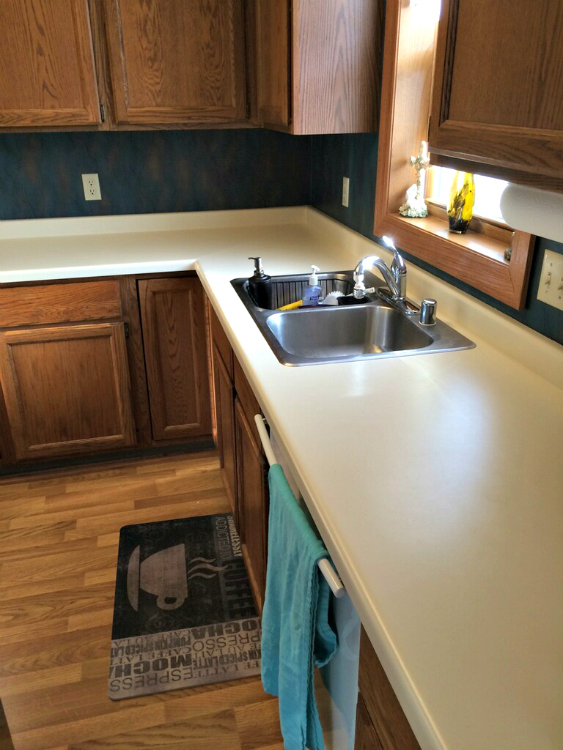 Call us today at 715-830-5002 for a free estimate to update your kitchen! 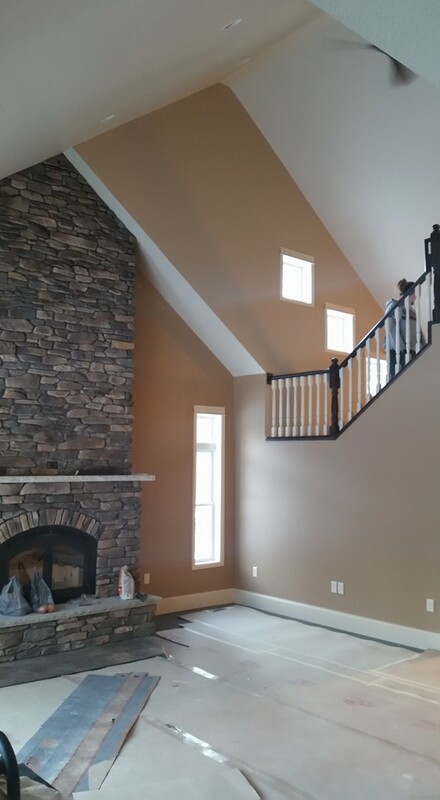 The crew at Accent Finishing has been painting the interior trim, windows and walls at this beautiful new home! 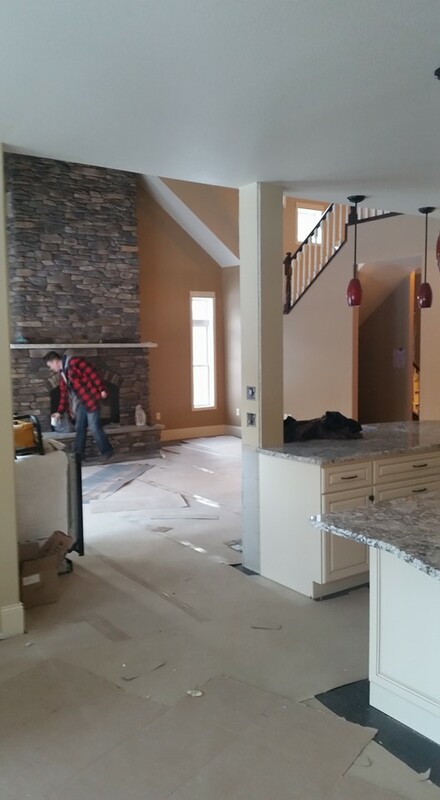 The employees of Accent Finishing are on the job site bright and early at this beautiful new home! 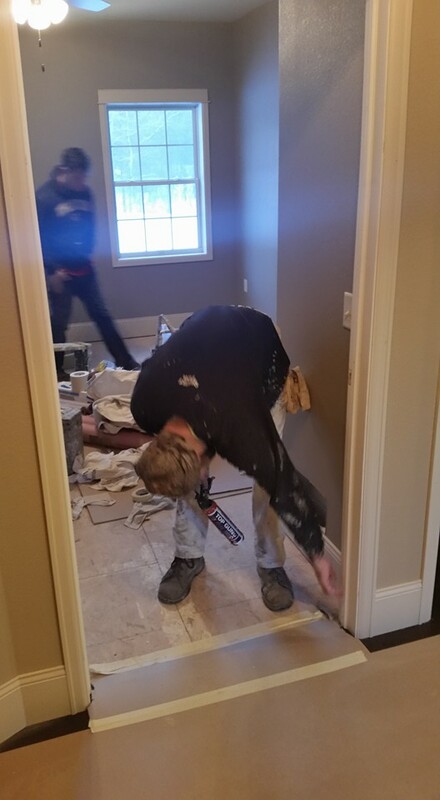 Prior to painting, we make sure all the flooring is covered. We fill all nail holes prior to painting the trim. 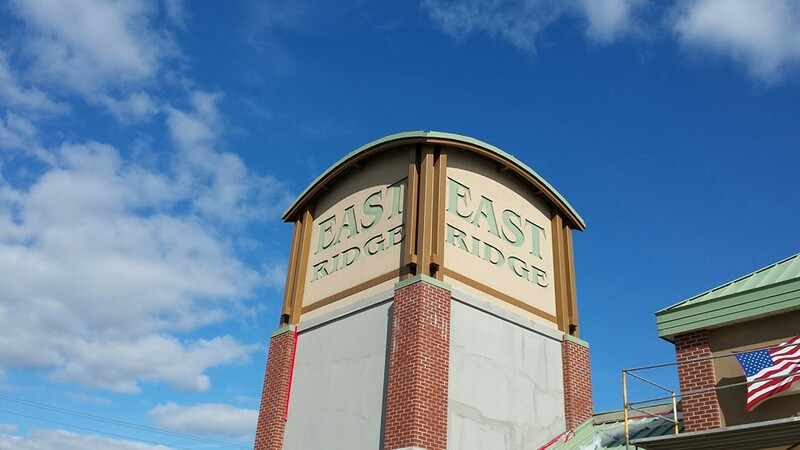 Accent Finishing recently finished the EastRidge Mall and Office Complex with exterior EIFS and commercial exterior painting. 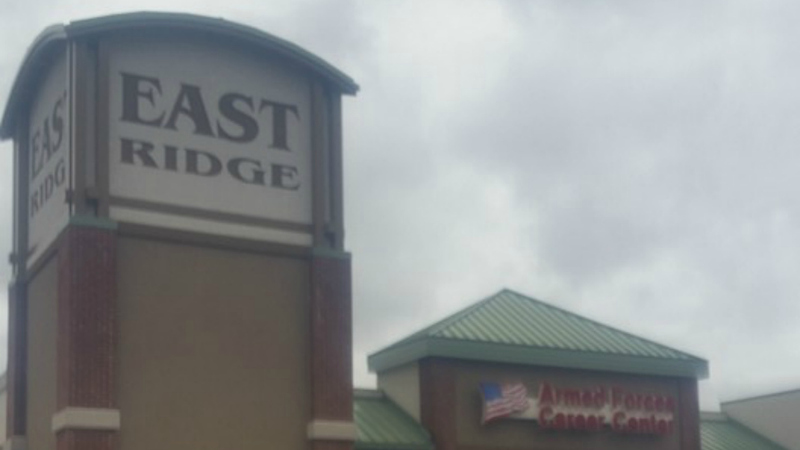 EastRidge is a 200,000 square foot mall and office complex located in Eau Claire, WI. 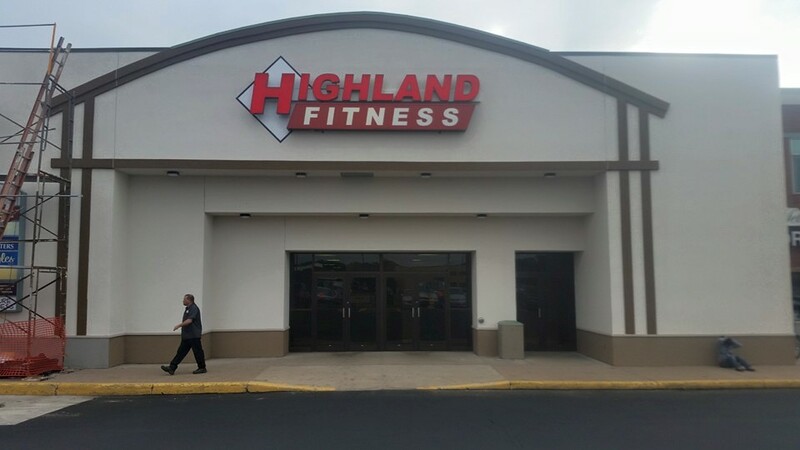 Accent Finishing skimmed and refinished all EIFS and primed and painted the exterior structural metal. 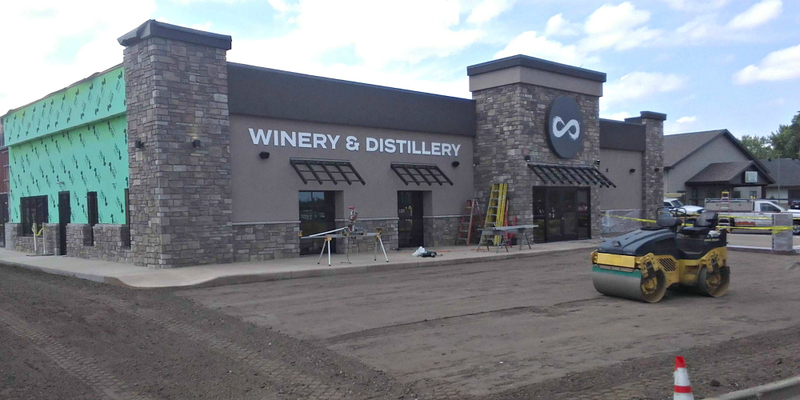 This project started on May 1, 2015 and was completed on November 1, 2015. Hats off to plaster foreman Mike and one of our best painters Ed to making the job run smoothly and meeting budget. And a thank you to all Accent employees who worked so hard on this project!